Online virtual Lab is a virtualized environment for testing new features of a product. Here you see the virtual Lab for Windows Server 2012 R2 which offered by Microsoft Windows Server team. You can test all new features of Server 2012 R2 within this Lab without creating or installing a local Lab. Log in to your Microsoft account and go to Virtual Lab: Getting to Know Windows Server 2012 R2 and click start then the log in page will open which ask you to log in with your Microsoft Account. This Lab is compatible with Internet Explorer. So it’s better try it with IE. If ask do you let this app access your info? click Yes and click Lunch lab to start the Lab server. 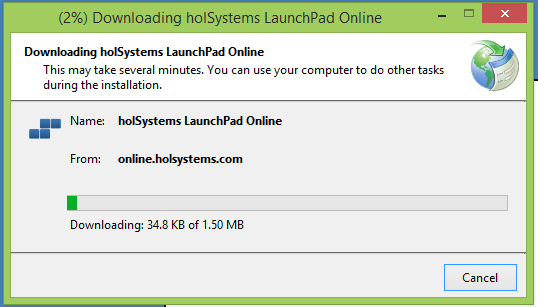 S small app name holSystems LaunchPad Online will be download and installed. 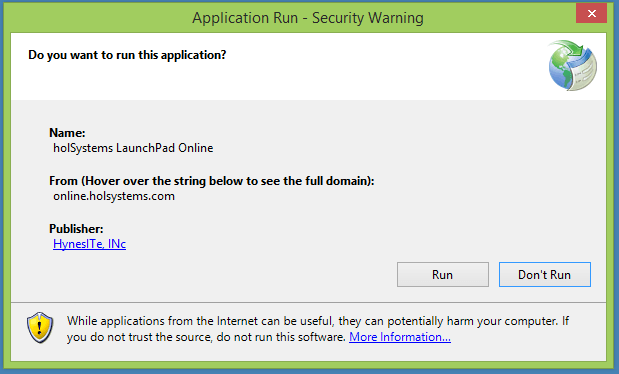 On the Application Run – Security Warning page click run. When the installation has complete, the system may need to restart once. After restarting the system open the virtual lab page again and click launch lab and continue. It take a few minutes to prepare lab. How to Connect Hyper-V Machines to Internet?